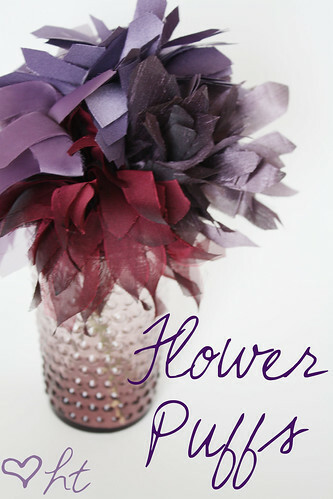 And the last flower tutorial for right now…..
Now I will share how you can make them too. 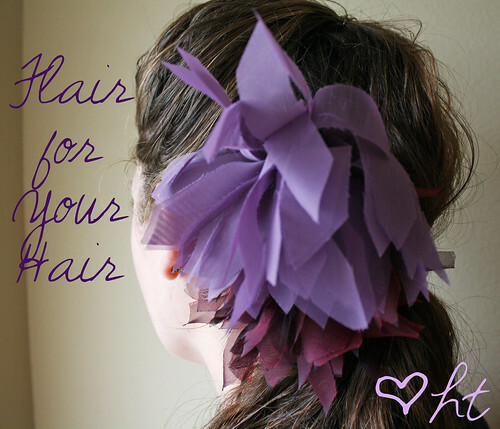 You can use them as hair accessories and add jewels, feathers, and more to them. You can make them into pins and add them to your clothing. 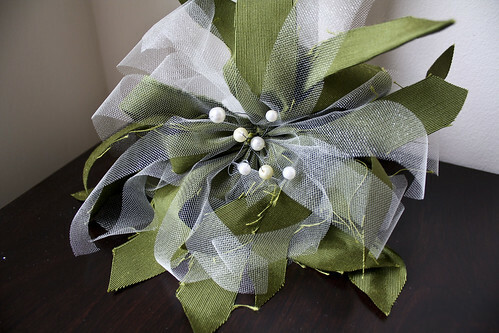 Or you could even glue them onto sticks or wooden dowels and create a beautiful bouquet (I would so do this for my wedding bouquet if I wasn’t married and was getting married :). 1. 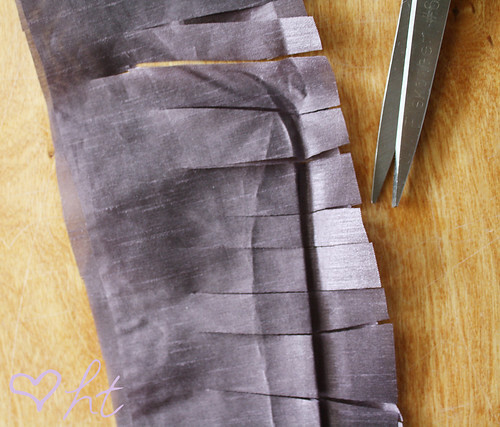 Cut strips of fabric for your flowers. 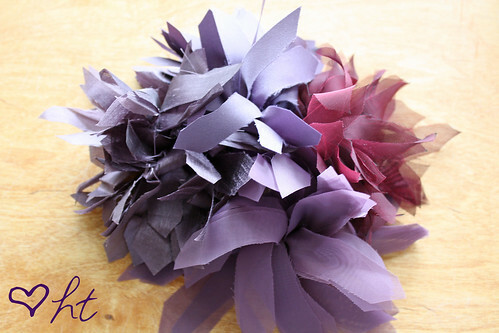 I cut two pieces of 17″ x 4″ for each of these flowers. The longer they are the more poofier it will be. The taller it is, the longer the petals will be. 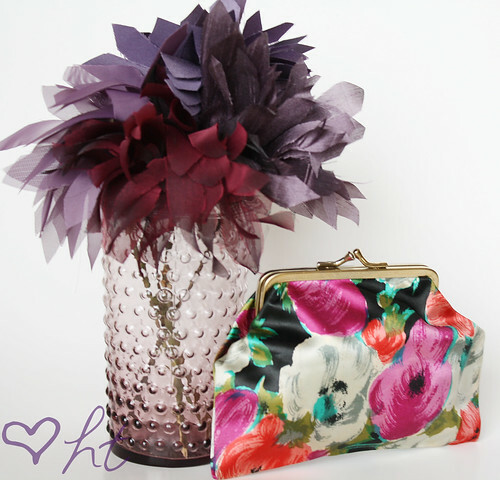 You can also use different fabrics in each flower for a unique look. In the ones I had made before, I added tulle. 2. 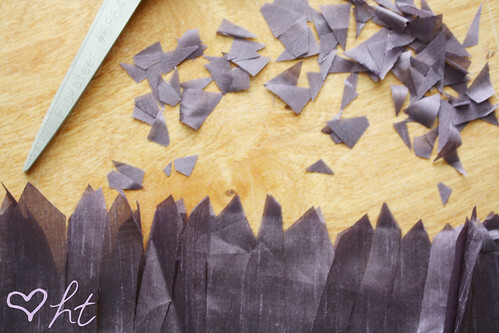 Take your scissors and cut down short ways, making sure not to cut all the way down. The further apart you make the cuts, the wider the petal will be. 3. Then go back and cut the edges with a point on the end. 4. 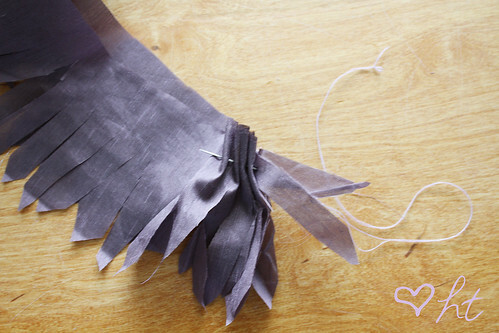 Grab your needle and thread and baste along the bottom (do all the layers of fabric at the same time). 5. 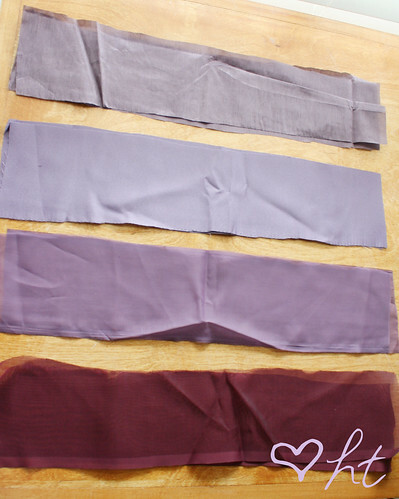 Then gather it up and sew the ends together. 6. 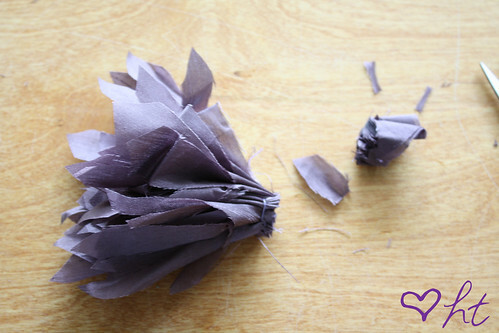 Trim any excess off at the end and finish the bottom how you like (this depends on whether you are making it a hair accessory, pin, etc). those are fabulous! 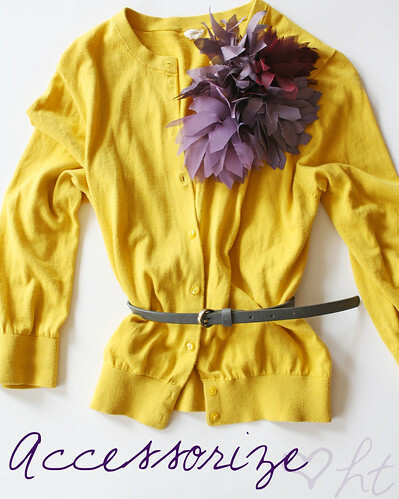 love the color combo too! Although the instructions are simple, the finished project has such a wow factor. Wonderful idea and instructions, the colours you chose are lovely. I love how whimsical these are. I want to make all your flowers! These are so great! I’m always looking for new accesories– esp. ones I make so I know they are unique 🙂 I love putting these on a blouse! Hi! I have just this morning found your blog — what fun! Love this tutorial; thank you for the inspiration. I will be a regular reader. what kinds of fabric did you use for these? I’m not quite sure what they were exactly, but they were sheer, silky, satiny, etc. kind of fabrics. I call them “fancy” fabrics 🙂 I usually pick up the leftover pieces in the remnant box and use for projects like this. 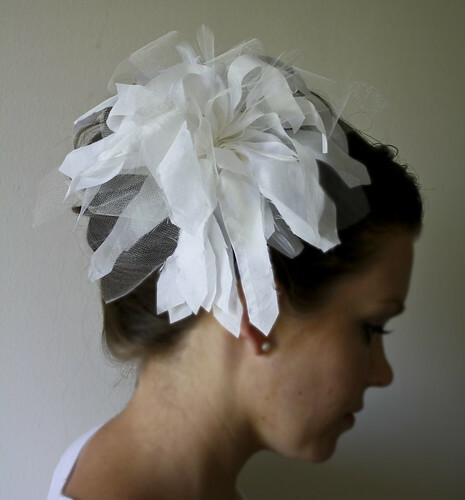 How would you finish the bottom if you wanted to hot glue it to a elastic headband? I would have to hot glue a disc to it somehow. Suggestions?